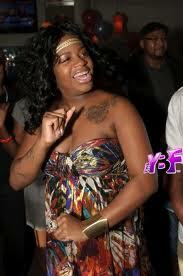 Pregnant Fantasia Not Good Enough to Play Mahalia Jackson! | holychick Be Fabulous, Be Fierce, Be You! Pregnant Fantasia Not Good Enough to Play Mahalia Jackson! According to the NY Post, the family of the legendary Mahalia Jackson feel that 2 times pregnant and unwed (latest baby daddy can’t marry her because he’s still married to another woman) Fantasia is unfit for the role of Mahalia Jackson. In fact they claim that her hot mess of a life would tarnish Mahalia’s good name (how she gonna do that when Mahalia is dead). Check out the whole story here. This entry was posted on October 8, 2011 at 12:50 am and is filed under Celebrities with tags American Idol, baby mama. Antwaun Cook, Christian movie, Fantasia, Fantasia Barrino, gospel artists, Mahalia Jackson, Pregnancy, unwed mother. You can follow any responses to this entry through the RSS 2.0 feed. Both comments and pings are currently closed.